wings. And metal. What do you use to cut the tin? Keeping decorating simple.. That sounds so peaceful. Wishes for a Merry and Bright Christmas! So pretty! Love the wings!!! I love them Rosemary! You're definitely not afraid to try different 'mediums' for your creations! Today, I cut some wood cut-outs on a scroll saw, so I'm dabbling outside of my comfort zone! I do think I would like to try this project. I guess you used tin snips? I think my hubs has some metal and tin-snips! Have a great weekend! Blessings from Bama! Love the wings, Rosemary. 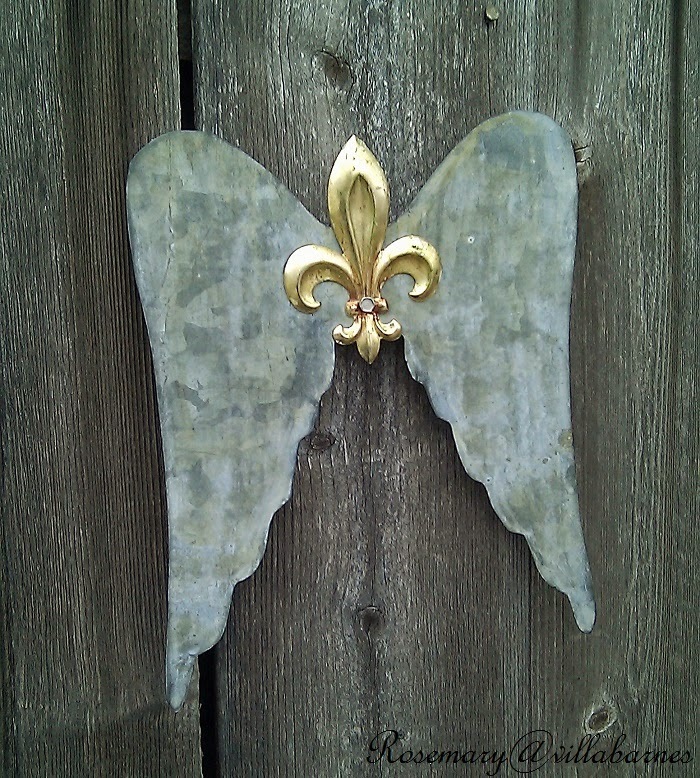 So pretty with the fleur-de-lis! So precious! 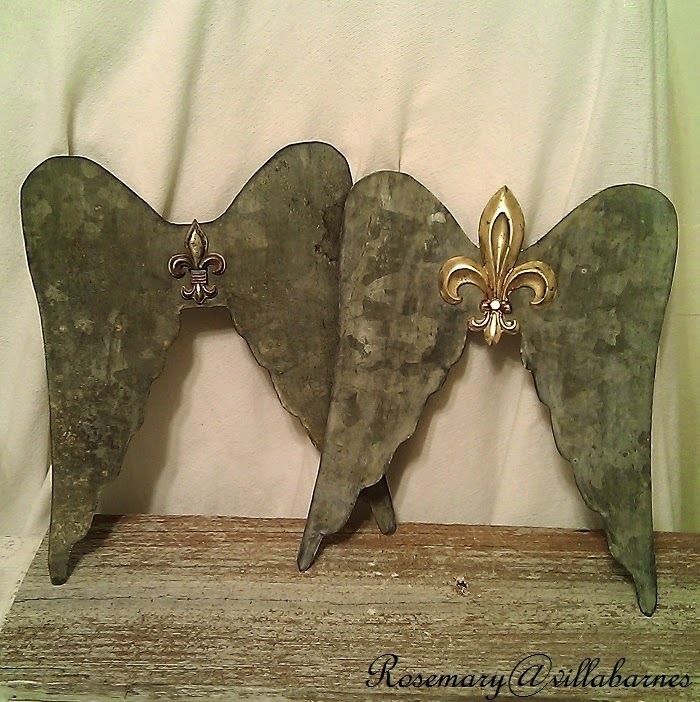 The fleur de lis are the perfect touch! 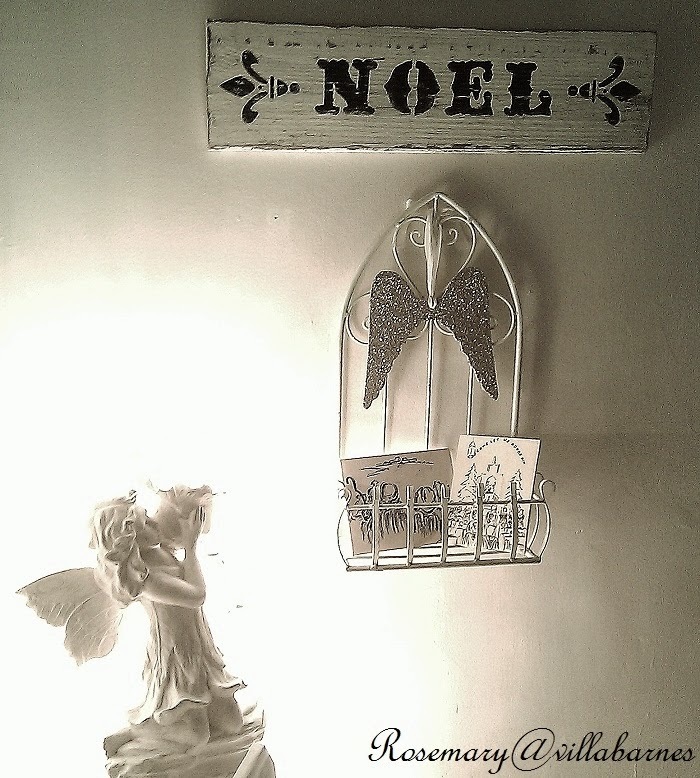 I like what you said about your Christmas decorating..."easing along with it.." I think that's what I'm doing, too:) Your wings are lovely. I especially love the ones that look like hammered metal. 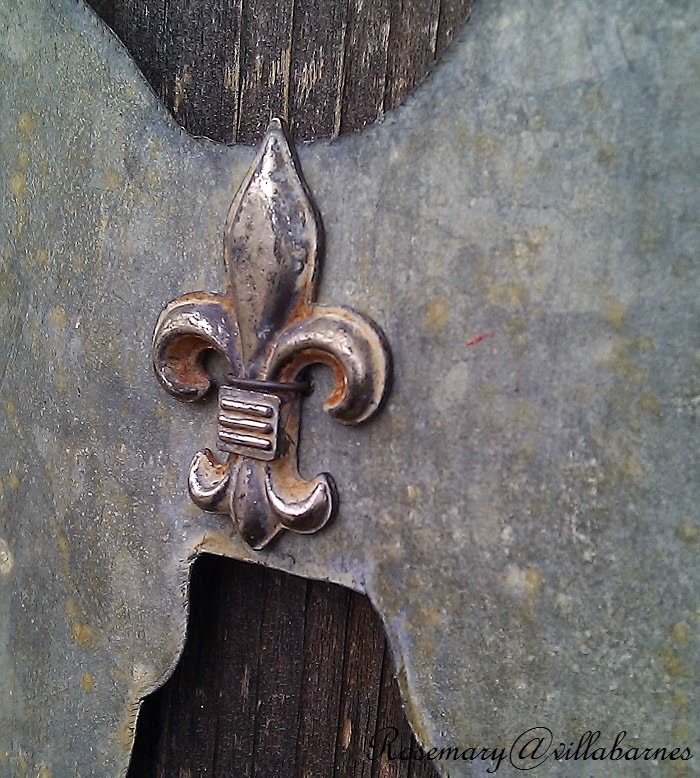 So pretty and I love the sweet addition of the fleur-de-lis. 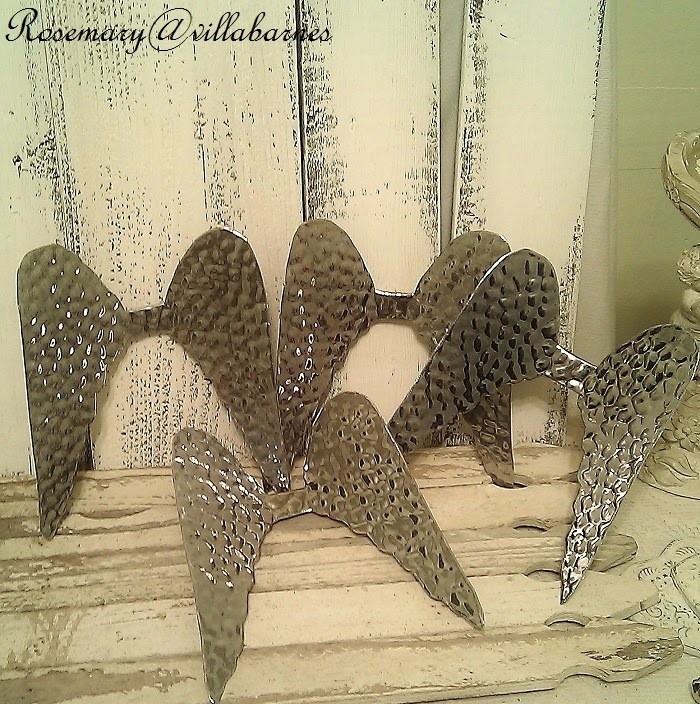 Such gorgeous metal angel wings with French accents! Simple decorating for me to is simply the best! Especially with silver and gold!